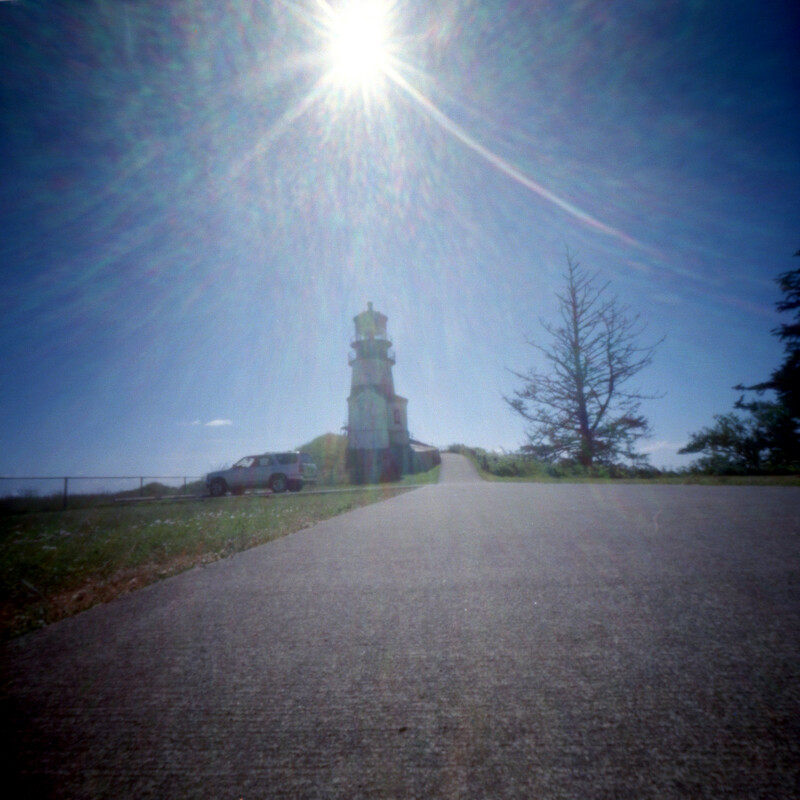 As I was editing my photos from our visit to Cape Disappointment last summer I remembered that I took the same shot of the lighthouse with both of the cameras I brought, my Zero 2000 and my Reality So Subtle. I thought it would be interesting to compare the shots side by side. Looking at the photos, I see that in between shots a car must have pulled up the road and parked in front of the lighthouse. For both cameras I used Ektar and the exposure time was around a second. 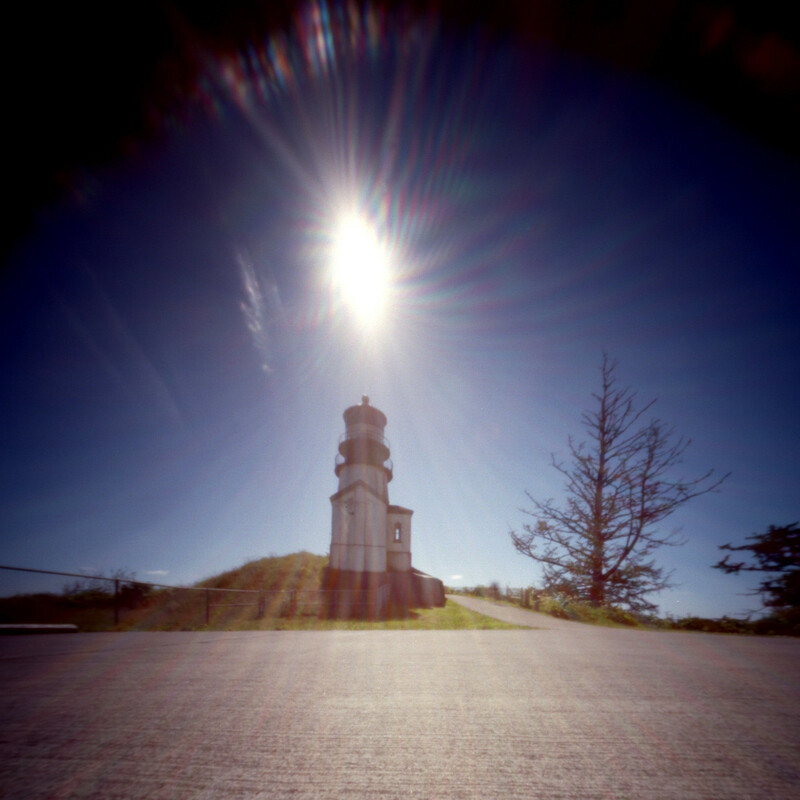 Great place name “Cape Disappointment”. One of my photowalk buddies is really into pinhole photography, he’s threatning to bring one on our next photowalk.